Jolene Roberts is President of Hillcrest Health Services, a company she took over in 1988. With a 30-year history of passionate work ethics, her excellent visionary, networking, analytic, creative and decision-making skills give her the proven ability to conceptualize, implement and direct systems from strategic planning through development to daily operation. Ms. Roberts has been a pioneer in healthcare for most of her career. Among other accomplishments, she has developed and opened Sarpy County’s first: Assisted Living Facility in 1998 (Hillcrest Mable Rose), Post-acute Inpatient Rehabilitation Center in 2002 (Hillcrest Health & Rehab), Medicare-certified Home Health Agency in 2007 (Hillcrest Home Care), and Nebraska’s first household-model long-term care cottages in 2008 (Hillcrest Country Estates). Additionally, Ms. Roberts has helped open Sarpy County’s only Adult Day Services program (The Club) and the only Balance Therapy Program (at Hillcrest Physical Therapy). Prior to founding Hillcrest Health Services, Ms. Roberts was a Social Worker for the State of Iowa and taught Long Term Care Administration for the University of Nebraska at Omaha. Ms. Roberts has sat on several Board of Directors including Alzheimer’s Association Midlands Chapter, Child Savings Institute, Visiting Nurses Association, Big Brothers Big Sisters, Nebraska Health Care Association, and Immanuel Health Systems Retirement Communities. Ms. Roberts received her Masters of Social Work degree from the University of Nebraska – Omaha, specializing in gerontology. She received her undergraduate degree in Social Work from University of Northern Iowa. Ms. Roberts has been personally recognized with several awards including the Ten Outstanding Young Omahans award, Bellevue Person of the Year, Distinguished Alumni from the Bellevue Chamber, American Red Cross Volunteer of the Year, the University of Nebraska Award for Outstanding Public Service, Suburban Newspapers’ Worthy Women of Distinction, and Bellevue Chamber of Commerce’s Distinguished Service Award. Under her leadership, Hillcrest Health Services has been recognized for Sarpy Chamber Small Business Award (2005), the Bellevue Silver Arrow Award, the Sarpy Country Business of the Year (2008), the Omaha Chamber Golden Spike Award (2009), and the Sarpy County Economic Development Corporation Business of the Year Award (2011). In 2013, Ms. Roberts was inducted into the Sarpy County Business Hall of Fame and in 2014, Hillcrest Health Services was named Business of the Year, 26+ employees, by the Sarpy County Chamber of Commerce. Sharyl Ronan is the Chief Executive Officer of Hillcrest, joining the organization in 2018. Sharyl has experience in the senior living and geriatric post-acute space for over 25 years as a leader for organizations, including a small owner-operated venture as well as an Executive Senior Leader in two of the largest publicly-traded senior living companies in the US. Her experience in senior housing and health care began as a Certified Nursing Assistant, where her passion for the elderly and commitment to enhancing the lives of aging adults developed. She has a Master’s Degree in Business Administration, a Bachelor’s Degree in Social Work and is a credentialed Licensed Nursing Home Administrator in two states. She also holds a Residential Care Administrator’s license in California. Her experiences includes working on the original pilot project with the State of California in creation of the first Alzheimer’s programs in the residential assisted living environment. She helped to develop a hospice agency and home health agency early in her career for an owner-operated provider. Her commitment and experience led her to be a strong advocate for the ‘frailest of the frail’ in which she became a young Vice President serving the post-acute and skilled nursing market. She was hired by Emeritus Senior Living, one of the largest assisted living providers in the country, to develop, oversee and run their new skilled nursing platform and roll out in preparation for national growth. It was there that she led 33 CCRC’s (Continuing Care Retirement Communities with independent living, assisted living, memory care and skilled nursing neighborhoods) over 10 states with 5,800 team members while supervising four regional teams and overseeing the national skilled nursing team. Prior to Hillcrest, she was most recently the Vice President for Brookdale Senior Living, overseeing their CCRC’s for the state of California. Her strong background in post-acute and long-term care brought her closer to her Midwest roots to serve as the CEO of Hillcrest Health Services in Bellevue, NE. Kevin Mulhearn joined Hillcrest as Chief Financial Officer in late 2013 with 22 years of operational and financial experience in the senior living industry. Previously, Mr. Mulhearn was Director of Finance for Riverside Health System’s Lifelong Health Division in Newport News, Va., where he oversaw financial operations for multiple lines of business and was instrumental in developing financial pro-formas for key growth programs. Prior to that, Mr. Mulhearn spent 17 years in various financial leadership positions, including 15 years as CFO, for Alexian Brothers Health System in Elk Grove Village, Ill. He holds an MBA in Healthcare Administration and Finance from Lewis University and a Bachelor of Arts in Accounting from North Central College, both located in Illinois. Mr. Mulhearn has been a certified Resident Housing Professional and served as the chairperson of the Commission on Accreditation for Rehabilitation Facilities (CARF)/Continuing Care Accreditation Commission (CCAC) for six years. 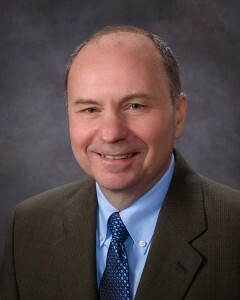 Anthony Hatcher, DO, is a board certified family physician and the Chief Medical Officer at Hillcrest Health Services. He received a Bachelor of Science from Truman State University, Doctor of Osteopathic Medicine from Kirksville College of Osteopathic Medicine in Kirksville, Missouri, and a Master’s degree in Executive Leadership from the University of Nebraska Lincoln. Dr. Hatcher completed his Family Medicine residency at Creighton University and served in the United States Air Force as a Flight Surgeon stationed at Offutt AFB. Prior to joining Hillcrest Health Services, Dr. Hatcher spent more than 20 years working for Alegent /CHI Health as a practicing clinical physician. He also served on the Alegent Health Board of Directors and as the Chief Administrative Officer of Alegent Health Clinic. As Vice President of Home and Community Services, Reggie Ripple leads the operations of Hillcrest’s hospice and home health services, including skilled nursing, in-home personal care, telehealth, and palliative care. Mr. Ripple has served as a dynamic and effective leader in the home health industry since 1997, where he began his career as an occupational therapist for St. John Health System in Tulsa, Okla. He quickly progressed into management overseeing therapy and clinical services, and as Home Care Director, managed the home health, hospice and inpatient/outpatient palliative care programs serving five hospitals in Northeastern Oklahoma. Mr. Ripple received a Bachelor’s of Science in occupation therapy and psychology from St. Ambrose University in Davenport, Iowa and holds a Master of Public Health from the University of Oklahoma – Tulsa. 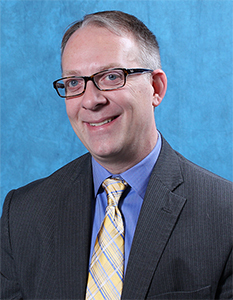 He is a Licensed Home Care Administrator, unique to Oklahoma, and was recognized as one of eight national recipients of The Catholic Health Association’s “Tomorrow’s Leaders of the Catholic Health Ministry” for outstanding leadership, community service and passionate commitment to the mission of Catholic healthcare. Mr. Ripple, his wife Tina and three children relocated from Oklahoma to Papillion, Neb. in August 2014 to join the Hillcrest family. 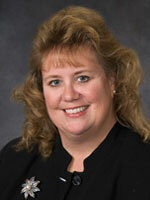 Martha Zubke is Vice President of Quality Improvement & Administration. She joined the organization in 2006 and is principally responsible for quality improvement, education, corporate compliance, risk management and human resources for Hillcrest Health Services. Ms. Zubke’s previous experience includes serving as Vice President of Human Resources at Jennie Edmundson Hospital in Council Bluffs, IA. She served as Director of Human Resources for Hillcrest before being promoted to the Executive Team as a Vice President in 2011. Ms. Zubke received her undergraduate degree in Business Management from the University of Nebraska at Lincoln, and her MBA from Bellevue University. 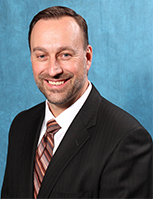 Jim Janicki is Vice President of Marketing and Communications for Hillcrest Health Services. He is responsible for marketing, advertising, public relations, market research, admissions and business development for all Hillcrest service lines. Prior to joining Hillcrest, Mr. Janicki served as Executive Director of Marketing for Riverside Health System in Newport News, Virginia, a $950-million, physician-led not-for-profit organization that served over 5,000 older adults every day. In the past, Mr. Janicki worked as a Senior Account Manager and national consultant for SB&A in Richmond, Virginia. In that role, he helped clients in Virginia, North Carolina, South Carolina, Georgia, Louisiana, Texas, Delaware, Connecticut, Illinois, Nevada and Oregon build new CCRCs and Active Adult Communities, as well as reposition failing CCRCs for successful turnarounds. Mr. Janicki is a native of Buffalo, New York, where he served as Director of Marketing and Communications for ElderWood Senior Care for six years and as an Account Executive with ad agency Eric Mower and Associates for five years. He is a BA graduate of SUNY Geneseo, near Rochester, NY, and he is an accredited public relations professional (APR) through PRSA. He currently lives in Papillion, Nebraska with his two daughters. 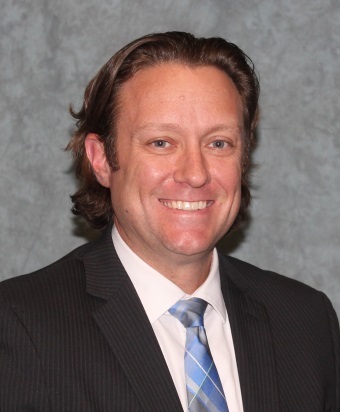 Matt Oestmann is Vice President of Rehab and Post-Acute Services for Hillcrest Health Services. Prior to joining Hillcrest in 2007, Dr. Oestmann worked with an outpatient orthopaedic clinic and a community hospital in Iowa. He was promoted to the Director of Therapy Services in late 2007 and then Administrator of Home Care in 2011 prior to his move to the Executive Team as a Vice President in 2016. His accomplishments have included building a strong team of dedicated therapists with decades of experience in home health and orthopaedics. He is active in American Physical Therapy Association and National Association of Rehab Agencies, serving on various committees over the years. 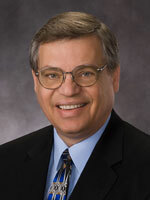 He has also served the Nebraska Home Care Association as a Board Member and Legislative committee member. He was selected as one of the Midlands Business Journal’s “40 Under 40” in 2016. Dr. Oestmann received his Bachelor’s degree in Biology and Psychology from Dana College and his Masters in Physical Therapy and his Doctorate in Physical Therapy from UNMC. He is currently working on his MBA at the University of Nebraska at Omaha. Dr. Oestmann is a Nebraska native and currently lives in the Papillion area with his wife, Mylissa, and their five children. 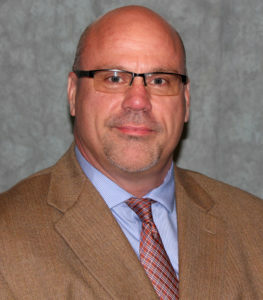 Dave Creal is Vice President of Facility Operations. 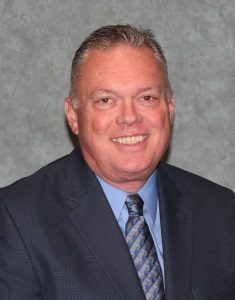 He joined Hillcrest in 2016 as a Regional Administrator, responsible for the operations and performance of Hillcrest Firethorn, Hillcrest Mable Rose, Hillcrest Millard and Hillcrest Shadow Lake. Prior to joining Hillcrest, Mr. Creal was the Vice President of Franchise Support for Right at Home, an in-home senior care franchise with more than 450 offices in the United States, United Kingdom, China, Ireland, Australia, Japan and the Netherlands. His previous experience also includes serving as Operations Coordinator for Vetter Health Services in Omaha as well as Administrator of nursing facilities in Bridgeport, Nebraska and Winner, South Dakota. Early in his career, Mr. Creal was the Administrator of Philip Health Services in Philip, South Dakota, where he provided oversight to a hospital, nursing facility and two clinics. Mr. Creal received a Bachelor of Science degree in business administration from Black Hills State University. He also served as President of the Nebraska Health Care Association and Chair of the Nebraska Board of Examiners in Nursing Home Administration. He currently lives in Omaha with his wife Deb. Michelle Yosick joined Hillcrest Health Services in April 2018 as a Regional Administrator. With 20 years of experience in the skilled nursing industry, Michelle previously held Director of Nursing, Executive Director and Regional Vice President roles primarily with Life Care Centers of America. In her most recent role as the Executive Director and Market Leader for Ensign – Skyline Nursing and Rehabilitation, Michelle was responsible for the operations of a 100-bed skilled nursing facility as well as leading the Executive Directors at six Ensign buildings in Nebraska. She also provided leadership to the resource team providing support to the facilities. Michelle and her family live in Omaha. Cindy Klein is the Administrator of Hillcrest Country Estates Grand Lodge. Previously, Klein served as a Regional Administrator, overseeing the financial and clinical operations of three of Hillcrest’s service lines. Ms. Klein is an RN and licensed administrator with more than 30 years of experience in geriatric health care management and consulting. She is also a licensed nursing home preceptor. Ms. Klein joined Hillcrest Health Services in 1999. 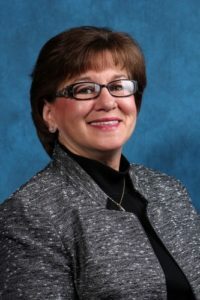 Prior to joining Hillcrest, Ms. Klein held various positions throughout the Midwest, including Director of Nursing and Regional Nurse Consultant. Ms. Klein received her Bachelors degree in Health Care Management from Bellevue University. 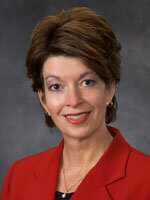 She has been active in the Nebraska Health Care Association, serving on several committees. She is co-chair of the Nebraska Culture Change Coalition. Cindy has been happily married to her husband Kevin for 28 years and has one daughter, Gina. Her favorite hobby is golf. Theresa DeBilzan joined Hillcrest as the Administrator of Hillcrest Country Estates Cottages in late July 2018. Theresa has her Bachelor’s Degree in Business Administration from Black Hills State University. Her passion for long-term care began as a Certified Nursing Assistant and then a Medication Tech. For the past five years she has been the Administrator of a 5-star skilled care community in South Dakota. 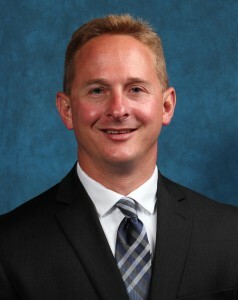 Darin Nelson became the Administrator of Hillcrest Mable Rose in 2017. He was a Director with Hillcrest Hospice Care for two years prior to the transition. He has extensive long-term care and management experience both in the public and private sector. Darin is passionate about working with seniors and has had extensive coursework and experience with providing quality services and support to assure a positive quality of life. Darin is a Nebraska native and grew up in Norfolk, the childhood home of Johnny Carson. After graduation, Darin stayed in Nebraska to earn his B.S. in Criminal Justice and M.S. in Human Service. He has lived in the Bellevue and Papillion area for the last 20 years. He licensed in Nebraska as an Assisted Living Administrator, Independent Mental Health Practitioner and Alcohol and Substance Abuse Counselor. As a self-proclaimed Walt Disney fanatic, Darin loves cruising on the Disney Cruise Line and playing at Walt Disney World with his wife and family. Lauren Wright is the Administrator of Hillcrest Home Care, joining the organization in 2017. Previously, Ms. Wright practiced physical therapy in the acute care, outpatient and home care settings. She owned and operated a successful private physical therapy practice and spent the past 10 years devoting her career to serving clients in the home care setting. Prior to joining Hillcrest, she served in clinical leadership roles for Methodist Health System, Visiting Nurse Association and Kindred at Home. Ms. Wright holds a Master’s Degree in Physical Therapy from the University of Nebraska Medical Center and a Bachelor of Arts in Exercise Science from Creighton University, where she is an alumni member of the collegiate athletic department and the Alpha Sigma Nu Jesuit honor society. She has achieved certifications in OASIS, lymphedema therapy and biofeedback for pelvic muscle dysfunction. Ms. Wright has previously served as an adjunct faculty member in the Department of Physical Therapy Education at UNMC and also as an independent reviewer for the Nebraska State Board of Physical Therapy. Her clinical interests include geriatric strength and conditioning, vestibular rehabilitation and management of complex pelvic floor disorders. Ms. Wright hails from Scottsdale, Arizona, and currently lives in the Elkhorn area with her husband and children. She is a die-hard Creighton Bluejay fan, a soccer and cheerleading mom and an avid reader and theater-goer. Tim Martens joined Hillcrest Health Services as the Administrator of Hillcrest Caring Companions in 2016. Tim joined the Hillcrest family with more than 20 years experience in sales and management, the last 10 years in the senior care industry. He has extensive experience consulting with franchise owners for the largest private duty provider in the world. His travels took him primarily to the West Coast to experience first-hand the challenges and exciting opportunities facing the private duty world. Mr. Martens also worked several years as a Hearing Instrument Specialist for Beltone in Omaha, Lincoln and Fremont serving the senior population. He amassed a successful career setting all-time high numbers for revenue and seniors served. Mr. Martens was even recognized on a National level as the number two specialist in the nation. Tim and his wife Amy live in Omaha with their three children. They enjoy staying active, spending time with friends and having fun. Tammy Weston joined Hillcrest Health & Rehab in April 2018 as the Administrator. She has been a Licensed Nursing Home Administrator for 18 years and came to us from the Eastern Nebraska Veterans Home. She has worked a number of years in the post-acute setting and is passionate about the care that we provide. She has been recognized throughout her career for her dedication and perseverance to ensure the best quality of care to those served. Tammy received her Bachelor’s degree from Bellevue University in 2000. She is a veteran of the United States Army and served in Desert Storm. Tammy has three beautiful daughters and two lovely grandchildren. She lives in Millard but can often be found kayaking on one of our local lakes or riding the highways of Nebraska and Southwest Iowa, where she was born and raised. Go Packers! 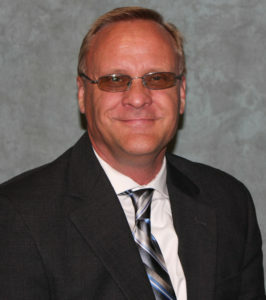 Kevin Sauberzweig is Administrator of Hillcrest Shadow Lake. He entered the long-term care field over 25 years ago when his wife, who at the time was a director of nursing, encouraged him to leave his career in business education to become a nursing home administrator. Mr. Sauberzweig started with a facility in central Nebraska and moved to Eastern Nebraska to serve as a regional manager for a 32-facility system based out of Evansville, IN. He traveled extensively and worked to turnaround troubled facilities. After a brief tenure as executive director of a larger Omaha-based facility, Mr. Sauberzweig joined Hillcrest Health & Rehab in January 2008. He successfully led the conversion from a combined long-term care and post-acute facility to a fully dedicated post-hospital rehabilitation setting. In addition, Mr. Sauberzweig’s experienced leadership is facilitating the completion of a multi-million dollar renovation with minimal interruption for patients and families. Mr. Sauberzweig joined Hillcrest Shadow Lake in October 2016. A resident of Omaha, he and his wife, Kristin, are very proud grandparents to seven grandchildren. 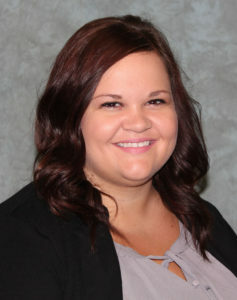 Brandi Petrik joined Hillcrest Health Services as Administrator of Hillcrest Millard in 2017. Brandi began her career in Senior Care Management in 2005. 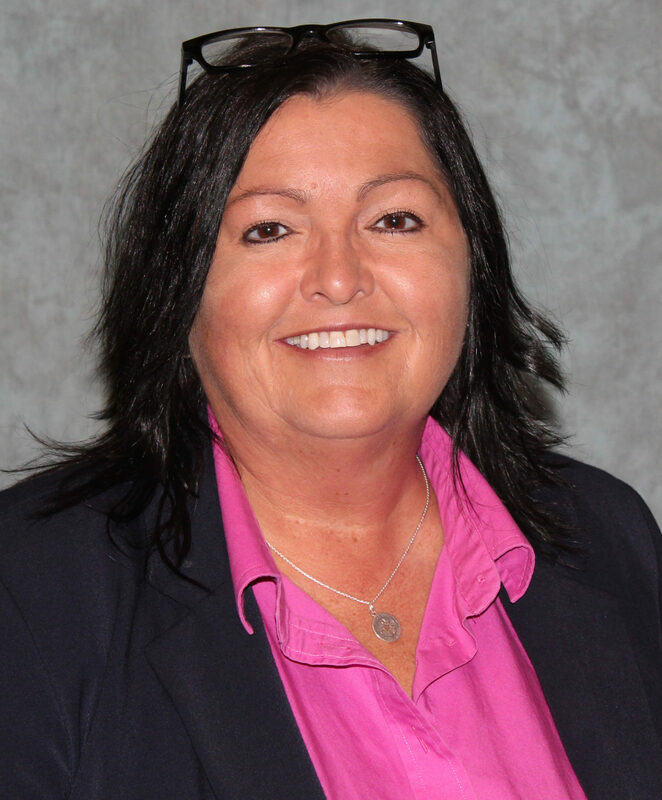 She has previously served as an Assisted Living Administrator, Long-term Care Administrator and Multi-Location Administrator in three states – South Dakota, Iowa and Nebraska. Brandi received her Bachelor of Business in Health Service Administration from the University of South Dakota. She resides in Gretna with her husband Nick and two children. 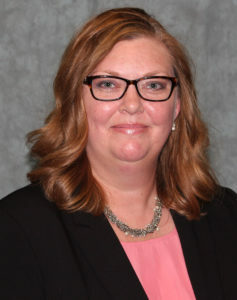 Rebecca Smith joined Hillcrest in August 2018 as the Administrator of Hillcrest Firethorn, a post-acute rehabilitation center. During her career, Rebecca has held administrator and executive director positions at several facilities in the area and has experience in the leadership of multi-service care facilities in addition to being a clinic manager and behavioral health consultant. She graduated from Wayne State College with a Bachelor of Arts Degree in Business Administration/Human Resources. Rebecca lives in Gretna. Mike Rehfeldt, M.A. joined Hillcrest Hospice Care in late July 2018 as the Administrator. Mike began in hospice in 1993 working as a Social Service Counselor for one of the five largest hospices in the country. He has held various roles in his career, including Administrator for a hospice of more than 600 ADC, Vice President of Care for a single provider in Florida with multiple regions and as a nationwide traveling administrator. J.R. Moss joined the Hillcrest team in July 2018, bringing extensive experience to his role as Administrator of Customer Navigation. A Tennessee native, J.R. received Master of Business Administration (M.B.A.) and Master of Health Administration (M.H.A.) degrees from the University of Memphis. Prior to his career in health care, J.R. worked on political campaigns in a number of different roles in Tennessee. J.R. began his health care administration career as the Administrator of a community-owned facility in Iowa. Recently, he oversaw multiple facilities in the Northern Nebraska area. As the Administrator of Customer Navigation, J.R. oversees the Clinical Navigation and Community Relations departments. He brings a passion for helping customers achieve the best possible experience with Hillcrest Health Services. He is also a Lieutenant in the United States Naval Reserves, stationed at Offutt Air Force Base. 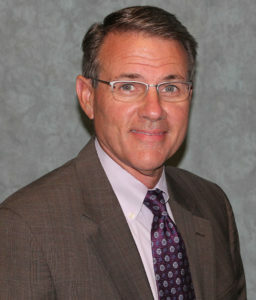 Anthony Hatcher, DO, is a board certified family physician and the Chief Medical Officer at Hillcrest Health Services. He received a Bachelor of Science from Truman State University, Doctor of Osteopathic Medicine from Kirksville College of Osteopathic Medicine in Kirksville Missouri, and a Master’s degree in Executive Leadership from the University of Nebraska Lincoln. Dr. Hatcher completed his Family Medicine residency at Creighton University and served in the United States Air Force as a Flight Surgeon stationed at Offutt AFB. Prior to joining Hillcrest Health Services, Dr. Hatcher spent more than 20 years working for Alegent /CHI Health as a practicing clinical physician. He also served on the Alegent Health Board of Directors and as the Chief Administrative Officer of Alegent Health Clinic. Dave Creal joined Hillcrest in 2016 as a Regional Administrator. He is responsible for the operations and performance of Hillcrest Mable Rose, Hillcrest Shadow Lake and Hillcrest Firethorn, which is currently under development in Lincoln. Prior to joining Hillcrest, Mr. Creal was the Vice President of Franchise Support for Right at Home, an in-home senior care franchise with more than 450 offices in the United States, United Kingdom, China, Ireland, Australia, Japan and the Netherlands. His previous experience also includes serving as Operations Coordinator for Vetter Health Services in Omaha as well as Administrator of nursing facilities in Bridgeport, Nebraska and Winner, South Dakota. Early in his career, Mr. Creal was the Administrator of Philip Health Services in Philip, South Dakota, where he provided oversight to a hospital, nursing facility and two clinics. Mr. Creal received a Bachelor of Science degree in business administration from Black Hills State University. He also served as President of the Nebraska Health Care Association and Chair of the Nebraska Board of Examiners in Nursing Home Administration. He currently lives in Omaha with his wife Deb. 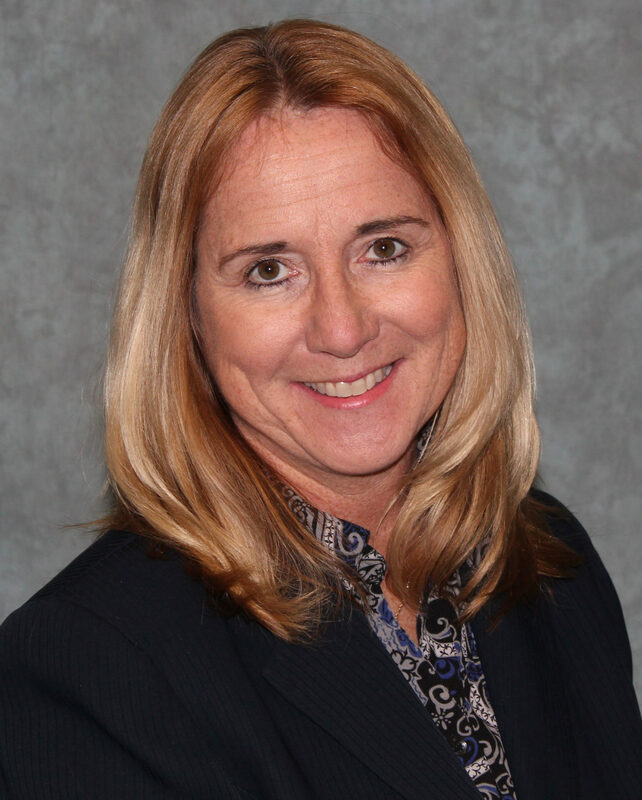 Cindy Klein is a Regional Administrator for Hillcrest Health Services. She oversees the financial and clinical operations of three of Hillcrest’s service lines. Ms. Klein is an RN and licensed administrator with more than 30 years of experience in geriatric health care management and consulting. She is also a licensed nursing home preceptor. Ms. Klein joined Hillcrest Health Services in 1999. 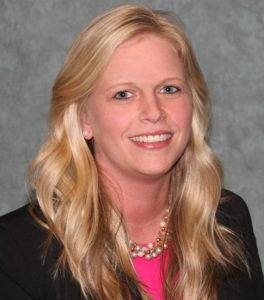 Prior to joining Hillcrest, Ms. Klein held various positions throughout the Midwest, including Director of Nursing and Regional Nurse Consultant. Ms. Klein received her Bachelors degree in Health Care Management from Bellevue University. She has been active in the Nebraska Health Care Association, serving on several committees. She is co-chair of the Nebraska Culture Change Coalition. Cindy has been happily married to her husband Kevin for 28 years and has one daughter, Gina. Her favorite hobby is golf. Tim Martens joined Hillcrest Health Services as Administrator of Hillcrest Caring Companions in 2016. Tim joins the Hillcrest family with more than 20 years experience in sales and management, the last 10 years in the senior care industry. He has extensive experience consulting with franchise owners for the largest private duty provider in the world. His travels took him primarily to the West Coast to experience first-hand the challenges and exciting opportunities facing the private duty world. Mr. Martens also worked several years as a Hearing Instrument Specialist for Beltone in Omaha, Lincoln and Fremont serving the senior population. He amassed a successful career setting all-time high numbers for revenue and seniors served. Mr. Martens was even recognized on a National level as the number two specialist in the nation. Tim and his wife Amy live in Omaha with their three children. They enjoy staying active, spending time with friends and having fun. 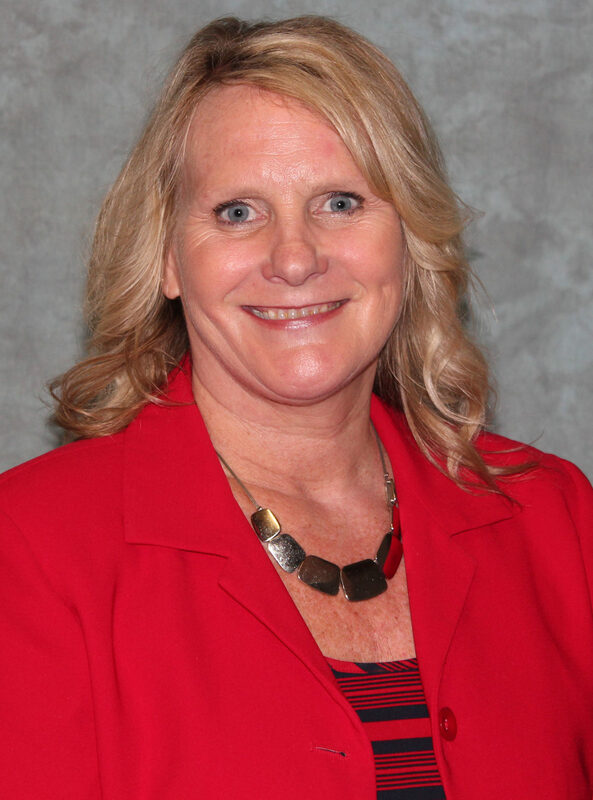 Tammy Weston joined Hillcrest Health & Rehab as the Administrator in April 2018. She has been a Licensed Nursing Home Administrator for 18 years and came to us from the Eastern Nebraska Veterans Home. She has worked a number of years in the post-acute setting and is passionate about the care that we provide. She has been recognized throughout her career for her dedication and perseverance to ensure the best quality of care to those served. Tammy received her Bachelor’s degree from Bellevue University in 2000. She is a veteran of the United States Army and served in Desert Storm. Tammy has three beautiful daughters and two lovely grandchildren. She lives in Millard but can often be found kayaking on one of our local lakes or riding the highways of Nebraska and Southwest Iowa, where she was born and raised. Go Packers!